Currently viewing the tag: "hours"
Hello! Do you like to study? No? But you like it when you can check out chargers and stuff earlier/later than normal, right? Especially when you have to study? What if there’s also free coffee? Good news! 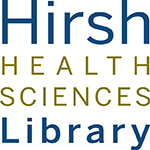 The Hirsh Health Sciences Library will be having another three weekends of Extended Hours this spring, so you will have more time to check materials out and get help on the weekends! We will also have free coffee for you all on the Saturdays! The coffee is scheduled to show up at 6pm, so so you can come take a quick study break and commiserate while you caffeinate. Just so you know: this only applies to the staffed desk. 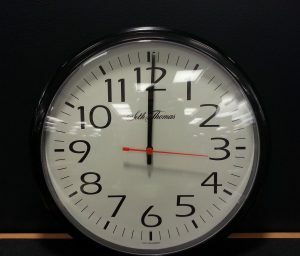 The building itself has its normal operating hours, so you can still stay until midnight as normal. If you have any questions you can feel free to swing by the desk on the 4th floor or call us at 617-636-6706. Otherwise, we look forward to seeing you those three weekends! In observance of Martin Luther King Jr Day, we will be operating with a modified schedule on Monday, January 21st. 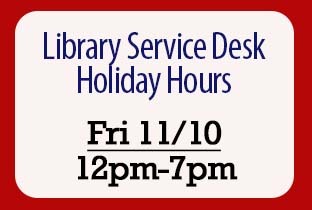 The Library Service Desk will be open from 12pm-7pm and the Library Offices will be closed. We will be open for our usual hours on Saturday and Sunday. Stay warm and have a great long weekend! 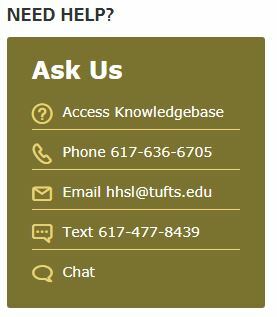 If you have any questions you can feel free to swing by the desk on Sackler 4 or call us at 617-636-6706. Otherwise, we look forward to seeing you the next three weekends. This year, in observation of Veterans Day, the Hirsh Health Sciences Library will have shortened hours on Monday, November 12. That day we will be open 12 pm – 7 pm. The Sackler Building will still have card swipe access for its normal daily schedule, so you are welcome to swipe in and come study in the building! Just be aware that the desk on the 4th floor will only be staffed from noon to 7pm. We hope you have a lovely weekend, and will see you back on Tuesday for our normal operations! In recognition of Labor Day, Hirsh Library will be open 12 pm – 7 pm this Monday, September 3rd. The Sackler building entry hours are unchanged. 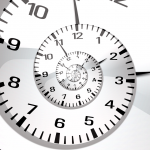 Hirsh Library will be open regular hours again on Tuesday, September 4th. We hope you have a safe and fun long weekend, and we’ll see you at the desk! 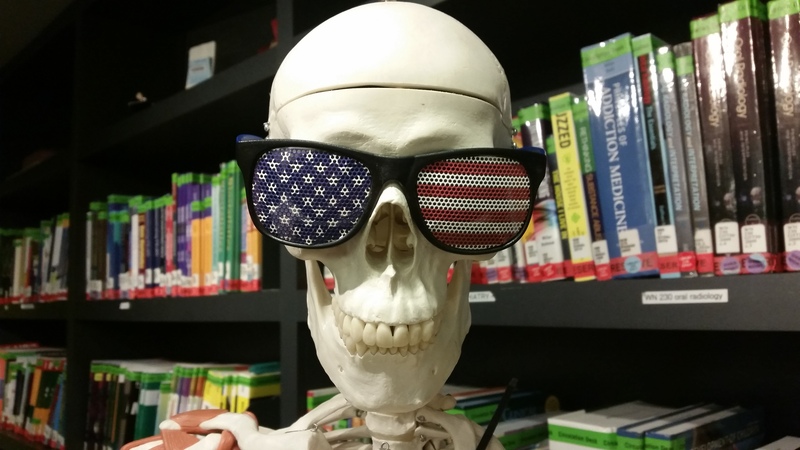 For the US Independence Day, aka 4th of July, the library will be closed on Wednesday, July 4th. The rest of the week will be regular hours. We hope you have a fun and safe day. Enjoy the fireworks! 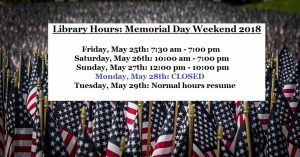 In honor of Memorial day, the Hirsh Health Sciences Library will be closed on Monday May 28th, 2017. We will be open regular hours Friday May 25th, Saturday May 26th and Sunday May 27th. We hope that you have a restful day off and we look forward to helping you with your information needs on Tuesday May 29th. 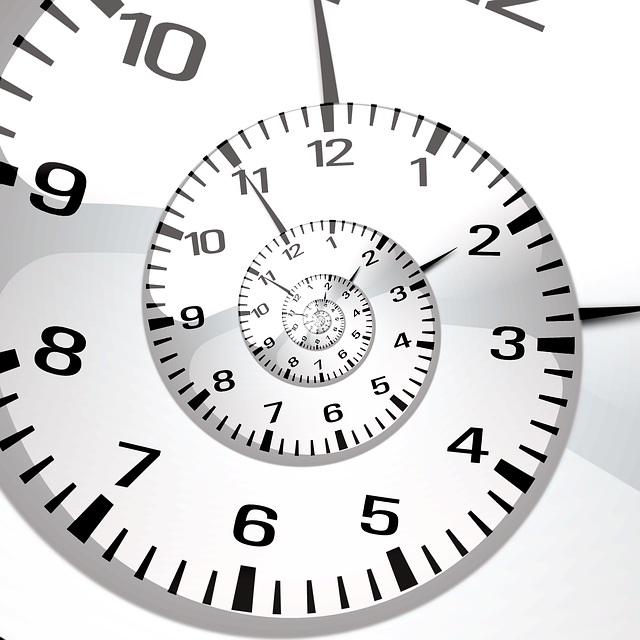 This upcoming weekend will be our last weekend of extended hours for the spring semester. We wish everyone the best of luck with their final exams and hope that your studying is as stress free as possible. Stop by the 4th floor service desk for all your charging and reserve needs. Winter break is upon us, and Hirsh’s library hours will be changing a bit for the next two weeks. The abbreviated list is below, but you can find a full schedule right here on our site. We resume normal hours on January 2nd. 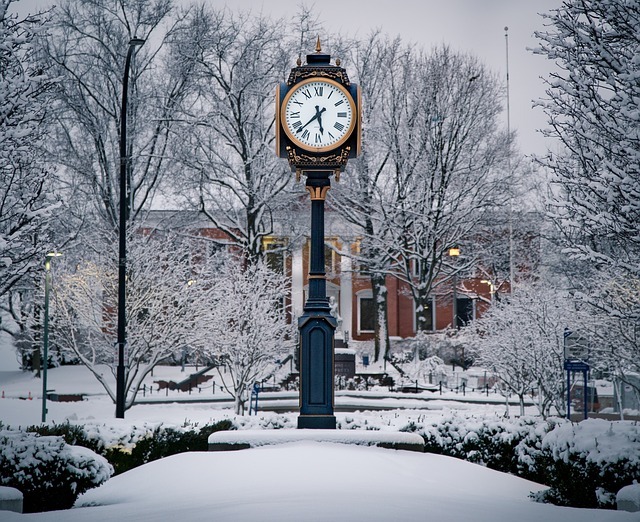 We hope you all have a relaxing break, and we will see you again in January! In observance of the university holiday for Veterans Day on Friday 11/10, the library will be operating with limited hours. 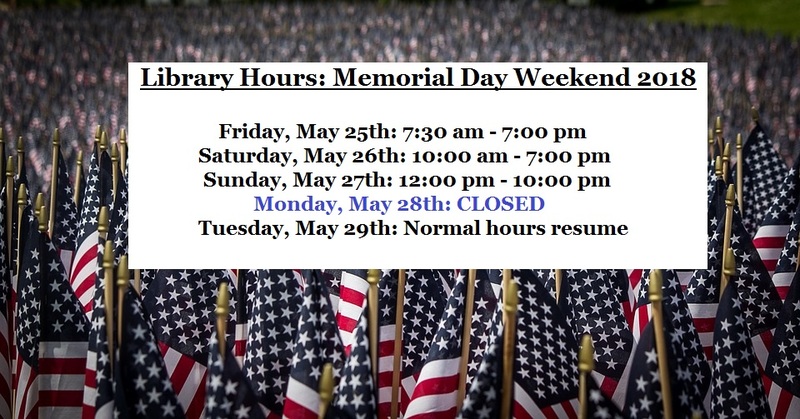 The Library Service Desk will be open from 12pm-7pm and the library offices will be closed for the day. We will resume our regular hours on Saturday and Sunday.